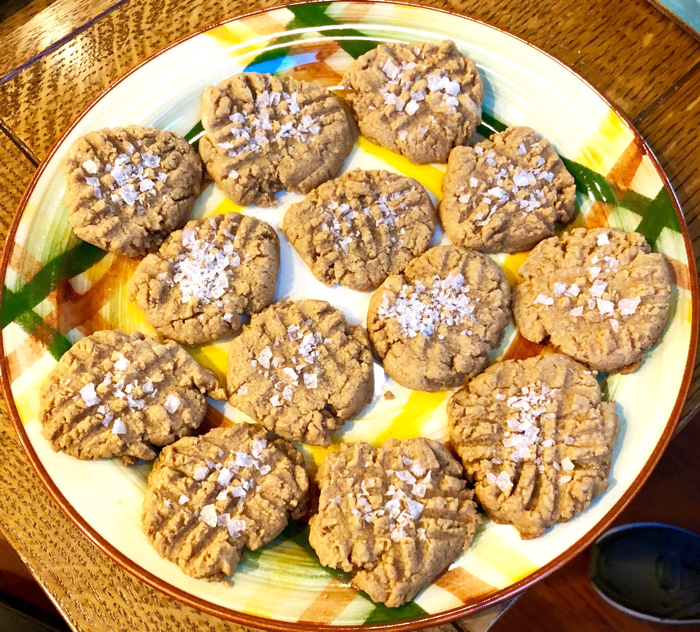 Who doesn’t love an easy home-made cookie recipe?! This one is brought to you by my sweet neighbor Trish Bock- who happens to also be in the music business. Small world. 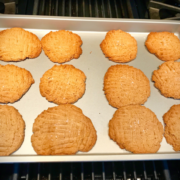 Thank you Trish for sharing your delicious recipe with us! Take one egg and beat it with a fork. 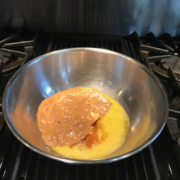 Then combine the beaten egg, peanut butter, sugar, vanilla extract and a pinch of salt in a large bowl. Mix well. 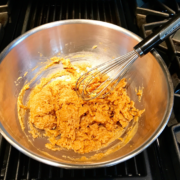 Place small scoops of the cookie dough on a large greased cookie sheet (I used coconut oil spray). Take a fork and press the tops of the cookies then sprinkle with salt. 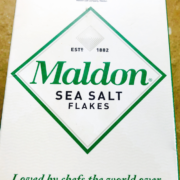 I used corse salt but Trish uses Maldon Sea Salt flakes which looks beautiful! I need to pick some up the next I’m at the store, or you can order it online. Place into a preheated oven at 350 and bake for 10-12 minutes or until the edges start to look golden. 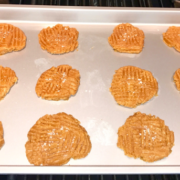 As soon as the outside edge begins to look a little crispy pull them out and let them cool. Trish’s cookies are smaller and cooked for 10 minutes. Mine turned out gigantic by accident so I baked them a few minutes longer. Be sure to make your cookie dough scoops round little tablespoon sized to get perfect little cookies.